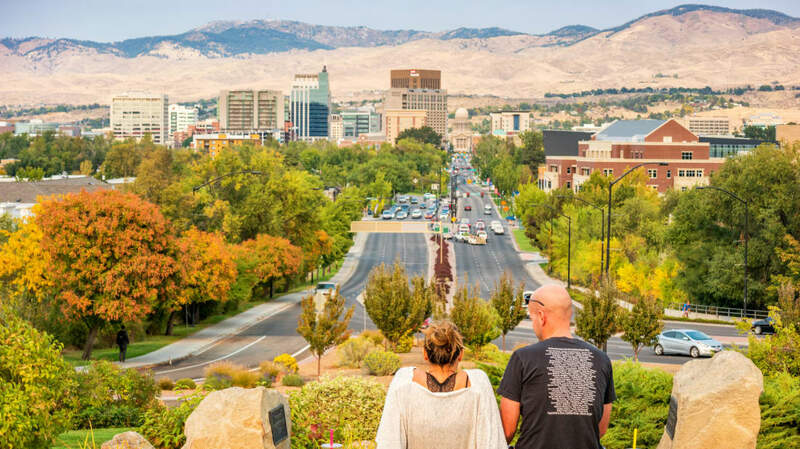 The data is in, and Boise, Idaho is America's most livable city for 2019. At least according to Livability, a website that specializes in highlighting the appeal of small- to mid-sized cities in the U.S.
Of course, any ranking of the “most livable cities” in America is subject to debate, because the very concept of “livable” is highly subjective. That said, certain indicators of the quality of life in any given city can be measured—like median home values, job opportunities, and diversity—and Livability did just that while crafting its annual list of the Top 100 Best Places to Live for 2019. Madison, Wisconsin placed third on Livability's 2019 list. Unsurprisingly, no big cities made the top 20 (even though the population was capped at 1 million this year). Of the top 20 cities, populations range from roughly 55,000 (in Manhattan, Kansas) to 466,000 (in Omaha, Nebraska). Check out the top 20 best cities below, and visit Livability’s website to see the original report with the full ranking of 100 cities.